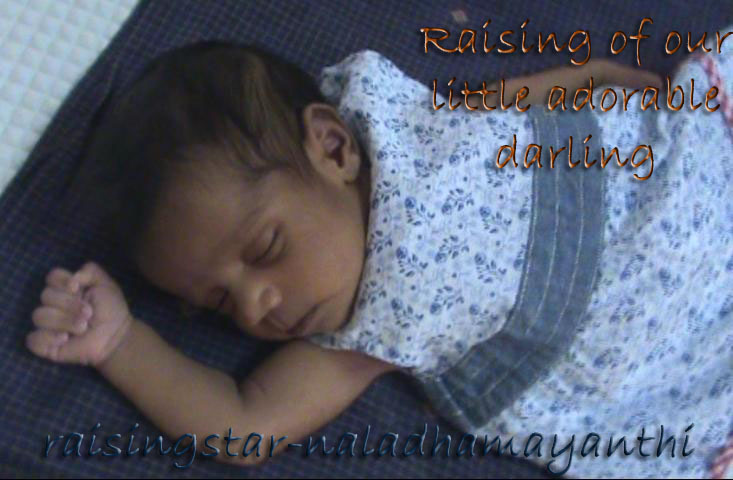 Raising of our little adorable darling: Whats up with Bharatanatyam? 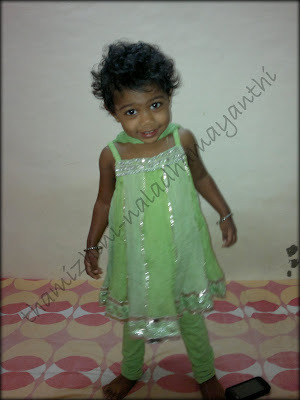 We have brought this cute Shalwar kameez for Thamzihini for her birthday and we wanted to check whether it is in her size. We made her to wear the new one and check out her expressions. 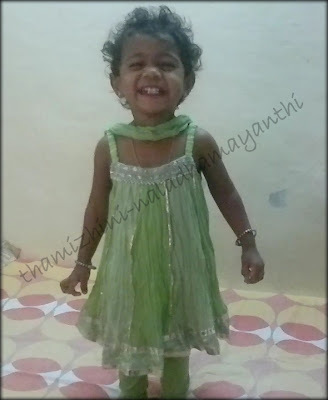 Also once she completely wore this dress, she started doing Bharatanatyam steps. Yeah She could relate the costume with Bharatanatyam, as our apt kids used to wear Shalwar kameez while practicing.